This week marks the 19th birthday of Malala Yousafzai, the Pakistani activist shot by the Taliban for championing the right for girls to have an education. Despite her huge efforts and progress across the globe, there are still too many women denied a decent education. Across South Asia, the Middle East and large parts of Africa, men are still much more likely to be literate than women. Sixty-five million girls are out of school globally. And for every 100 boys in secondary school in Africa, there are only 82 girls. The statistics are well rehearsed. Mothers with six or more years of education have fewer children and higher childbirth survival rates. A girl with an extra year of education can earn 20 per cent more as an adult. And an educated mother is more than twice as likely to send her children to school. 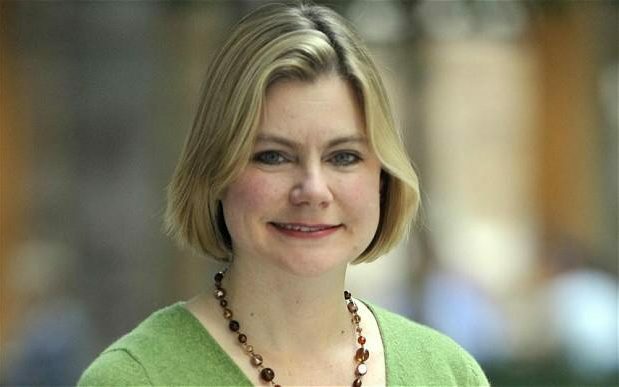 Last week, International Development Secretary, Justine Greening, convened governments, business and aid agencies at the Girls Education Forum in London. 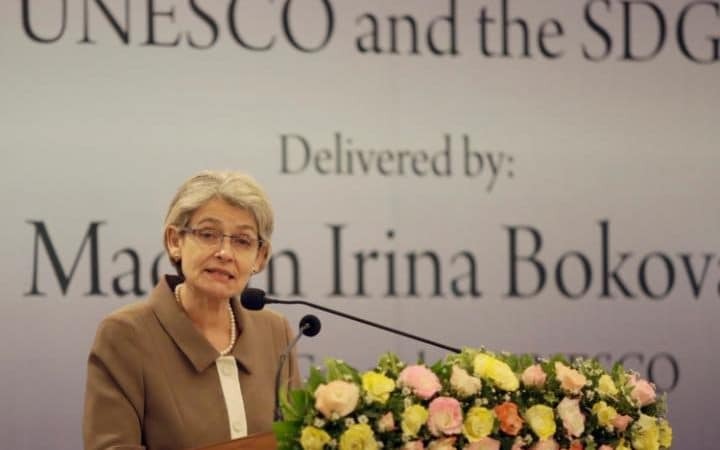 Importantly, it didn’t just focus on getting girls into school, but giving them, in Ms Greening’s words, the “decent education that can give them the skills they need to live happy, productive lives”. It was encouraging that in all the discussions there was recognition that girls education is not simply a matter of providing the school places – but about addressing the forces that keep girls out the classroom. Poverty is usually to blame. If a family have to make a choice between financially supporting a boy or girl in school, they will tend to choose the boy, as they think an educated boy offers the greatest chance of future prosperity. When the harvest is meagre and family income falls, it is girls that are taken out of school to work. In Uganda, a fifteen per cent decline in rainfall caused a five per cent drop in attendance by girls in seventh grade, but had no significant impact on boys. The curriculum too often reinforces images of girls as housewives and mothers rather than doctors or lawyers. At home girls will often have to spend more time doing household chores before they can get down to her homework. And cultural expectations of early marriage – and the prevalence of youth pregnancy – result in girls dropping out altogether. So what is to be done? The ‘Making Ghanaian Girls Great’ (MGCubed) project, funded by DfID’s Girl’s Education Challenge (GEC) fund, has increased girls’ enrolment and retention in 72 primary schools in areas of rural Ghana where girls have historically dropped out of education in large numbers. Five thousand girls who are at risk of not completing their education take part in ‘virtual’ interactive lessons taught from a studio in the capital Accra, which are then broadcast into their classrooms. This ‘virtual learning’ is a better guarantee of the quality of education: unlike in many African classrooms, there’s always trained teacher available even if they are not physically in the room. The project also widens the girls’ horizons beyond the traditional domestic roles. Through after school classes they are given the chance to talk to Ghanaian female role models – from pilots to actresses to government ministers. Other issues are broached – from early pregnancy and early marriage – and combined with practical advice in areas such as malaria prevention and personal finance. Average attendance for girls in MGCubed classes has increased from 54 per cent to nearly 80 per cent and there has been a significant effect in raising maths scores. So what wider lessons can be applied to girls programmes elsewhere? Firstly, if quality teaching can be guaranteed every day then it will result in better attainment, which, in turn, will encourage parents to allow girls to stay in schools. Third, if we are changing attitudes to girls we need buy-in from boys. After they said they felt left out we set up boys after school clubs, in which gender is one of the issues that is addressed. We saw this as an opportunity for engaging them in supporting the girls in their education. The programme did encounter real difficulties. In Africa, children often learn at school in a different language than they speak at home, which creates an additional barrier when they are learning to read. It makes far more sense to teach them literacy in their own language, at least when they start school. Technology needs to be robust and simple enough to use that school staff can be trained to fix it when it goes wrong. (In case of MGCubed, due to dust from the Sahara covering the solar panels that the schools were relying on to power their internet connection). If we are going to keep girls in schools we must support smart, scalable and sustainable projects. Above, all we must raise expectations among their community, and, most importantly, among girls themselves, about what they can achieve. This article appeared in the Telegraph newspaper on 12th July 2016 to mark the Girls Education Forum organised by the UK Government’s aid agency, DFID. For at least the last couple of decades, education ministers from around the world have been in thrall to a ‘back-to-basics’ educational philosophy. They have preached the time-honoured virtues of learning times tables and to punctuate accurately, and of memorising Kings, Queens and Presidents in the order that they appeared. They have defined themselves against the wide-eyed ‘child-centred learning’ of the 60s and 70s, in which creativity was more important than knowledge, inspiration more important than structure, and collaboration more important than competition. Since the 1980s, a hard-nosed case against progressive education has reigned. Who has time to teach these wispy values of creativity and collaboration when students should be cramming for maths to compete with Singapore? Why prioritise ‘soft skills’ when there is an international competitive race to be won in hard technology and science? The back-to-basics advocates have some truth on their side. Child-centred learning did lead to a harmful abandonment of basic skills in some schools. International comparisons of educational outcomes have created a “race to the top” – a global competition in education standards that means many children are getting a better education than a generation ago. Measures like the OECD’s ‘Education at a Glance’ index, published today, have focused minds in education ministries around the world on the importance of basic skills. But there is a growing consensus that in rejecting progressive educational theories, there has been an overcorrection. As Tony Little, former headmaster of Eton, and Julian Thomas, Master of Wellington College, have pointed out, the side effect of the current preoccupation with hard skills (and incessantly testing children on them) is that room for wider skills – from music to art to broader reading around a subject that is not strictly necessary for exams – are being squeezed out. Pressure for change is also coming from employers who think that an excessive focus on ‘hard skills’ is not creating the kind of workforce that they want. In fact, employers say that they value most the ‘soft skills’ of teamwork, resilience and creativity – precisely the values that are being sacrificed in the rush to prepare for the next exam. In a recent McKinsey survey of more than 4,500 young people and 2,700 employers across America, Brazil, Britain, Germany, India, Mexico, Morocco, Saudi Arabia and Turkey, some 40 per cent of employers reported that they struggle to fill entry-level jobs because the candidates have inadequate skills. The report also found that 45 per cent of young people feel that their education leaves them unprepared for the workplace. Soft skills are likely to only become more important in the future jobs market. As Andrew Mcafee, co-director of the MIT initiative on the Digital Economy, says, we are now entering the “new machine age” in which machines have skills they never had before. Technology will cut a swathe through white-collar jobs in the next 50 years, just as it has through blue-collar jobs in the last 50. Carl Benedikt Frey and Michael Osborne from Oxford University argue that jobs are at high risk of being automated in 47 per cent of the occupational categories into which work is customarily sorted – including in accountancy, legal work, and technical writing. As Fareed Zakaria wrote in a recent book making the case for liberal arts education, while robots have taken over the role of making trainers, the ‘value added’ is still the work of people with ‘soft skills’. A $5 pair of trainers becomes a $75 dollar pair of trainers through the work of those who know how to market, design and brand them. The World Economic Forum in its vision for how to prepare young people for those jobs not taken by machines recognises that critical thinking, problem solving, persistence, collaboration and curiosity will be essential. The new world of rapidly changing and varied work will require a workforce who can thrive in the face of constant change and frequent failure. Business is not waiting for education to catch up. Siemens in Germany takes trainees and “future-proofs” them by teaching them soft skills such as team work, how to divide tasks efficiently and problem-solving – as well as ensuring that their literacy and numeracy skills are improved if necessary. For change to happen, we need to free ourselves from the tyranny of over-testing and a curriculum that is narrowing in the single-minded pursuit of exam success. The world of work in which today’s school children will enter will be rich with possibilities – but if don’t widen the skills that children are taught in schools, then we are not just giving young people an unnecessarily impoverished education, we won’t even be preparing them with the skills necessary to make their living in an ever-more competitive world. This year’s Education for All Global Monitoring Report, published today by Unesco, underlines the stark disparities in education between the rich and poor world. In particular, it highlights that the world’s poorest children are four times more likely to be out of primary school than the world’s richest children. While the West frets about the future of skills and how to equip young people for technological change, some battered education systems in the developing world are struggling with the basics. For education ministers in these countries, the correct policy prescriptions are clear, even if they are fiendishly difficult to implement given their lack of resources. For their equivalent numbers sitting in their ministerial limousines in the developed world, who have the luxury of being free from such fundamental worries, it is perhaps less clear what they should be doing to ensure that their education systems turn out young people who can compete against lower-paid skilled workers from emerging economies. The standard response in the world’s education ministries has been to judge how they size up to the global competition through placing faith in the OECD’s PISA rankings, especially on those in STEM subjects. Countries as varied as Germany, the UK, the US and Sweden have undergone bouts of hand-wringing after disappointing PISA scores. Policymakers everywhere make the trip to Shanghai and South Korea to find out if they can bottle the elixir of educational success that has propelled these countries to the top of the rankings. The lesson that Western countries seem to have taken from the East is that the curriculum needs more maths and science and less emphasis on the liberal arts. This is generally accompanied by the claim that, to raise standards, a heavy dose of standardised testing is required to hold teachers to account for pupil performance. Of course STEM subjects are vital, but the pendulum has swung too far in favour of a curriculum that undervalues the creativity and the critical thinking that can come from the liberal arts. Politicians from all parties have acquiesced in this. Witness, for instance, the former UK Education Secretary Charles Clarke’s description of medieval history as “ornamental” and a “waste of public money”. Or Florida Governor Rick Scott’s recent claim that the state doesn’t need “more anthropologists” but instead people with “technology and engineering degrees”. This dichotomy that is unthinkingly repeated between the ‘practical sciences’ and the ‘self-indulgent humanities’ ignores the fact that many innovators do not come from a science tradition. Neither Steve Jobs nor Mark Zuckerberg were STEM majors. Jobs attended Reed College – a liberal arts school – and later said that it was a course in calligraphy that had the most influence on the revolutionary design of the first Apple Macintosh. Zuckerberg’s studies at Harvard ranged from ancient Greek to psychology; Facebook’s success relied less on technical innovations than on insights about how people would present their identities on the Internet, and Zuckerberg has said that Facebook is “as much psychology and sociology as it is technology”. There are countless other examples of innovators being informed by insights from the liberal arts. George Soros’s spectacular success on Wall Street can be attributed to belief in the irrationality of markets that came from his reading of Karl Popper and other philosophers. And Financial Times journalist, Gillian Tett, perhaps the only mainstream journalist who predicted the financial crash, saw the risks of collateralised debt obligations by drawing on lessons on group dynamics from her PhD in anthropology. The second assumption is that STEM education teaches skills that automatically lead to innovation. For example: it is hoped that the current vogue for teaching coding in schools will kick-start a new generation of development wizards. We should be cautious. As many programmers will testify, learning how to code requires two things that will not be covered in any coding class: a large number of hours of experimentation, trial-and-error, and problem solving – mostly done either as part of a job or for fun in one’s spare time; and a real fascination with designing and fixing software. Jobs and Zuckerberg were technically able but they didn’t become so at school. Standardised testing, introduced by countries fearing they are falling behind the global competition, is in danger of squeezing out the innovation that countries will need to succeed. Even Arne Duncan, US Education Secretary, has warned that standard testing is “sucking the oxygen out of the room”. An obsession with testing can narrow the curriculum – so that creative pursuits such as art and music are seen as dispensable, limit the scope and time for extra-curricular activities, and prioritise rote preparation at the expense of a wider understanding of subjects. So how should we encourage innovation? The answer of course is that we need STEM-literate humanities graduates and humanities-literate STEM graduates. Yes, we need some testing to understand how well teachers and pupils are performing. But we don’t want testing to become an obsession that leaves both stressed and focused on getting through an exam rather than opening up their mind to new possibilities. We don’t want the school day so crammed that there is no room for literature, poetry, music and art. Today’s report does actually also show that things are very slowly getting better for developing economies. Since 1999, the number of out of school children and adolescents has declined from 204 million to 121 million. There is still a long way to go but I would urge education ministers, as they continue to develop their curriculums, to learn from the mistakes we have made in the developed world. If the story of Steve Jobs, who created the world’s biggest company, teaches us anything, it is that we can never predict from where in the curriculum inspiration and innovation will come.